FEB 2, 2019 - CAPTAIN JOE 'KING COD' "Advocates For The Moriches Bay Area Waterways"
This group page, "Advocates For The Moriches Bay Area Waterways" was founded by myself Capt. Joe Tangel from the Charter Boat the KING COD, Eddie Chiofolo from the fishing vessel Hustler, and Capt. Les Trafford from Sea Tow Moriches/Shinnecock. All three of us make our living and support our families working on Moriches Bay, and the surrounding waters. We have all been closely involved with advocating for the dredging of Moriches Inlet, and the intercoastal waterway that runs through our bay. We are setting up this page to continue to advocate for ALL boaters...recreational, commercial, party & charters alike. For all people who use our south shore waterway. We give great thanks to our "main man", Congressman Lee Zeldin, and his assistant Bill Doyle, for pushing for the emergency action that has made the dredging of Moriches Inlet, and the channel in front Forge river, and behind Bird Island happen this fall/winter. 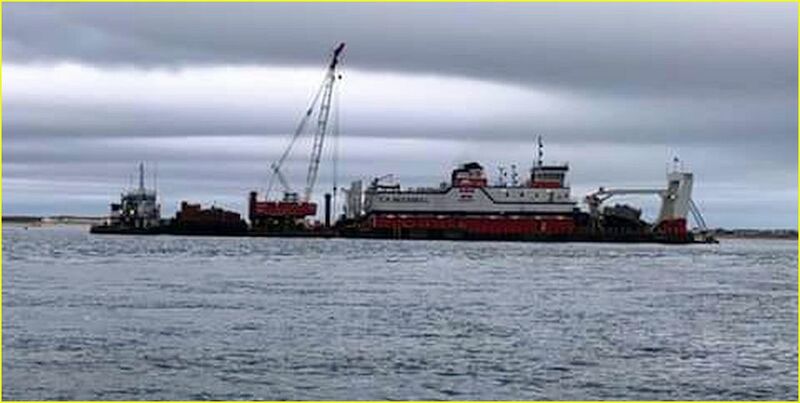 - Regularly scheduled maintenance dredging from the Smiths Point Bridge on our western boundary, to the Post Lane Bridge (Quogue Canal) on our eastern boundary. - Dredging of our creeks. Especially ones like Senix/Mud creek that have been neglected for decades, and see a high volume of traffic. - Dredging of the East Cut. - Proper buoy placement in the West Cut. - And our big one...rebuilding and extension of the Moriches Inlet Jetties. These goals, along with regularly scheduled maintenance dredging is critical to making Moriches inlet stable. This is a public group. Please share, and feel free to post your thoughts on our FB page!